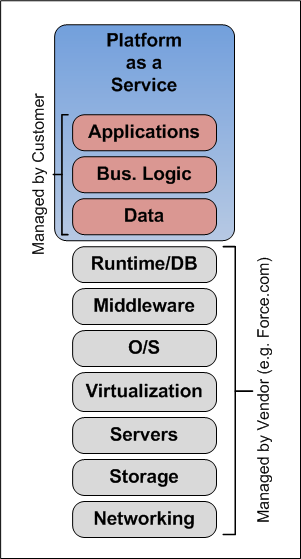 Prior to Platform as a Service (PaaS) technologies (e.g force.com), a developer was required to have at least a basic understanding of operating systems on which their software would run. They would need to know how to configure, set up, optimize and tweak the underlying operating systems, databases, middleware and sometimes even the underlying servers and network infrastructure. 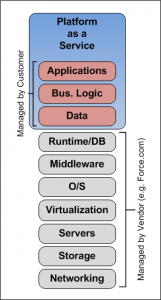 Using PaaS, vendors take over the management of everything but the application and the data structures. For business people who are working to increase sales, decrease expenses and increase profitability, PaaS vendors have crafted a very seductive message. No need for investing in capital equipment. Faster application development. A utility model that you pay only what you use and grows with your business. What business person wouldn’t want that? While business people are responsible for making the investment, PaaS vendors also need to take care of developers. Without developers, PaaS vendors cannot deliver on their promises. This means that vendors have a duty to understand the current marketplace standards as well as the tools that developers have been using for quite some time. These tools and standards have matured to a point where developers rely on them daily to be more effective and productive. And while not every tool developers would use in a Java or .NET project would necessarily apply in a PaaS project, writing and deploying software is still fundamentally the same regardless of the chosen platform. What tools to you rely on to be more effective and productive? Do you think they are applicable for PaaS based solutions? What PaaS tools would you like to see? This entry was posted in .NET, Business, Commentary, Java, PaaS, Software Development. Bookmark the permalink.